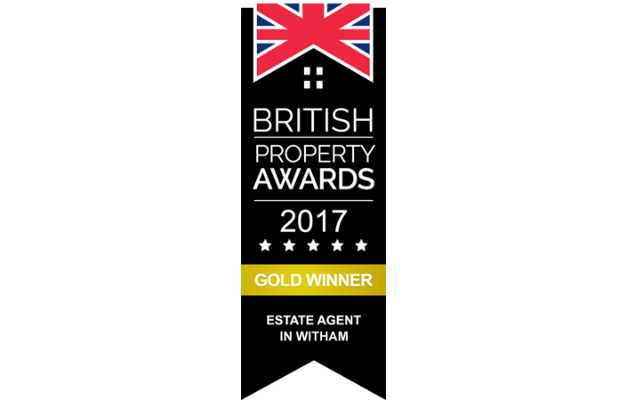 Boothroyd and Co have recently been recognised by The British Property Awards as Kenilworths Gold Standard Estate Agents. John Ansell, General Manager had to say. “It is a great honour for our team to receive this award, and to go on to the Regional Finals, as it is a reflection of our dedication to deliver exceptional service to our clients and purchasers alike. The process involved a series of mystery shops being conducted on all local estate agents. Those agents were then reduced to three finalists, of which Boothroyd and Co were the outright winners. The part of particular satisfaction is that the judging was across 25 sectors and heavily focussed on the customer experience when dealing with an estate agent. Much has changed within Estate Agency, but our principals remain the same. We pride ourselves on understanding the needs of our customers, giving clear honest advice, however difficult that is, but also striving to make any interaction with our company an enjoyable one. Fundamentally we are in the business of selling houses, however it is how you sell them that matters to us as a company. We have been independently recognised as having more sold signs than any other agent every quarter consecutively for the last six years in Kenilworth, a record we are rightly proud of. However it is so much more pleasing to now be recognised for how we sell those houses. We have long thought we achieve results by doing things in the right way, and this independent award now confirms that. The British Property Awards was devised to offer people an informed and balanced view of estate agents across the country and offer some assistance in the decision making process of people looking to sell. They felt many awards were based on customer reviews of clients who had sold, which could provide a slightly distorted view of that agents service. Many vendor clients have dealings with one individual within an estate agency and base their decision with whom to market on that brief interaction. In winning this award we we have been rigorously measured as a team across 25 measures giving you confidence in our brand and in your decision to appoint us as your agent. Boothroyd and Co are not embarrassed by our old school values, in fact we are rather proud of them. Thorough doing things the right way we have achieved great results for our clients, and we are also now receiving awards for doing things the right way on behalf of those clients. That is what gives us pride in what we do. To be part of our continued success please do get in touch to see how Boothroyd and Co can assist. We look forward to hearing from you.